As anyone who has tried to buy ammunition lately knows, demand is far outstripping supply. Cartridges in the most popular calibers—especially .22, 9mm, and .223—are getting harder to find and afford, and even exotic loadings are flying off the shelves. Gun enthusiasts, sportsmen, recreational and competitive shooters, and concerned citizens are up in arms over the lack of available ammo, merchant restrictions on purchases, and the ruinous prices being demanded for what's out there. Get the most bang for your shooting buck by following the commonsense and proven advice in Dealing with the Great Ammo Shortage. After all, what good is having firearms without an ample supply of bullets? 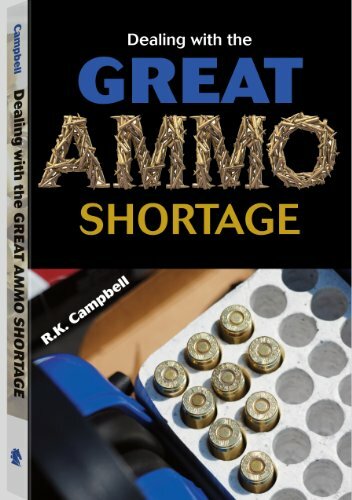 R.K. Campbell is a writer in the firearms and police field with more than 500 articles, columns and reviews published in more than 20 magazines and numerous annuals. He serves as contributing editor at Women and Guns magazine, contributing writer at Gun Week, and contributing staff writer at SWAT magazine. His work frequently appears in Police magazine and he is executive editor of Boar Hunter magazine. 1) What Is the Shortage About? 10) How Much Ammunition Do You Need?